Winter escapes are all about long days lounging in the sun -- or are they? Many North American travelers are seeking more than just a warm place to sip Pina Coladas. They want heaping doses of culture, picture-perfect scenery, and authentic cuisine thrown into the recipe too. One of the few warm-weather travel destinations in the world that offers history, authentic traditions, and more mouthwatering eats than you can cram into a single visit has been right under our noses all along. Mexico is a Latin American country that often gets pushed into the "a great place to lay on the beach and party" category, but even its most popular vacation destinations offer so much more than that. These four Mexican towns, lying along the 130-kilometer-long stretch of postcard-worthy coastline known as the Riviera Maya, are some of the best places to discover the country's rich culture and history while spending plenty of time catching rays by the pool or sea. You've probably heard of Playa del Carmen, and that's because those who have been there can't help but talk about it. 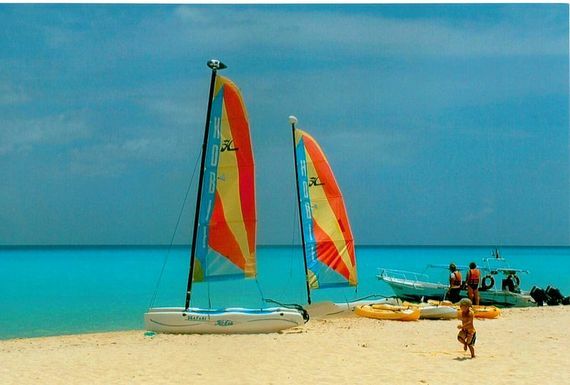 Also located in Mexico's fabled Riviera Maya region, Playa del Carmen is known as much for the town's infectious atmosphere as its sugar-sand beaches. Head down to iconic 5th Avenue, and you'll find world-famous restaurants, souvenir shops, boutiques, and plenty of bars to fuel your afternoon of sightseeing and shopping. There's arguably no better place in Mexico to dine on the freshest seafood in all seasons. Travelers seeking a laid-back beach town that hasn't lost its authentic Mexican flair will want to call Playa del Carmen their go-to winter getaway destination every year. Located roughly 30 minutes south of Playa del Carmen is the historic yet happening town of Tulum. Home to one of Mexico's most famous archaeological sites, which sits overlooking the turquoise Caribbean sea, Tulum is a place that is even more stunning in person than in photographs. The nearby Coba and Muyil archaeological sites offer even more opportunities to explore Mexico's ancient civilizations. Known for its bohemian, eco-chic atmosphere, Tulum seamlessly combines ancient history with nightlife and award-winning Mexican and international cuisines to create a destination that suits travelers of all ages. Puerto Morelos is one of Mexico's oldest communities lining the Caribbean Sea, and its unique history and culture are major parts of what will make your winter escape so unforgettable. Just a 20-minute drive south of Cancun International Airport, Puerto Morelos feels light years away from the hustle and bustle of daily life. 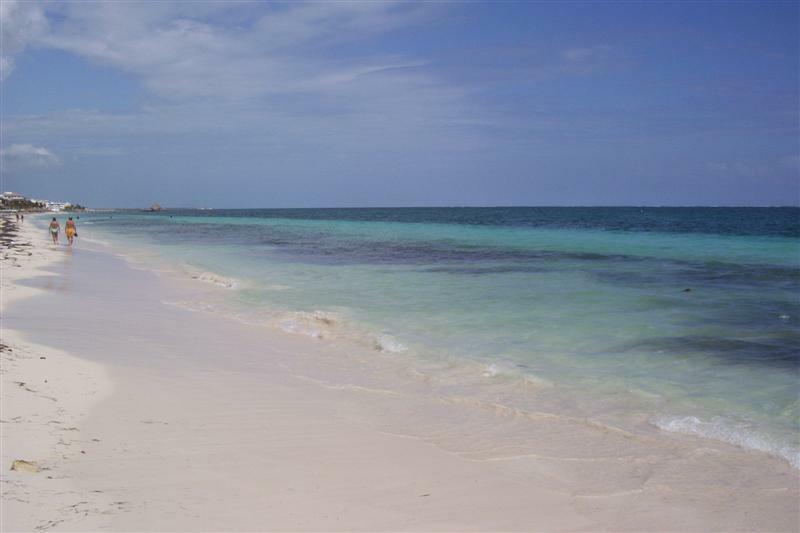 The small fishing community welcomes you to relax under a palm tree, snorkel in a portion of the Mesoamerican Barrier Reef, and explore the historic town square. Don't forget to dine at a waterfront "Pelicano," serving just-out-of-the-water seafood and enjoy the simple life of Mexico in the winter months. Cancun locals know their slice of heaven on Mexico's Yucatan Peninsula is a gem. While the city is known as one of Mexico's top vacation destinations, it retains an authentic feel that's portrayed through a long list of authentic restaurants, street vendors serving elotes and shrimp-on-a-stick, and hole-in-the-wall cantinas offering that infectious Mexican hospitality. 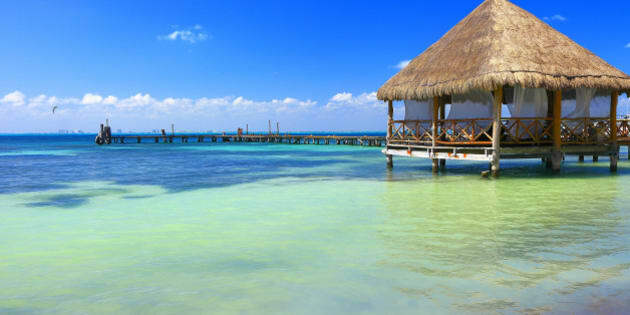 For those who want to lounge under a palapa with a frozen Pina Colada, Cancun also provides that resort town feel that truly lets you know you're on vacation.